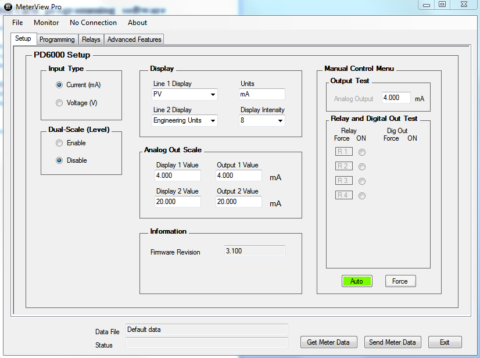 Programming and optimizing your Model 122 for your application is easier than ever. The Model 122 now includes the programming software, MeterView installed in each unit. The easy to use graphic interface is USB powered for indicator configuration. 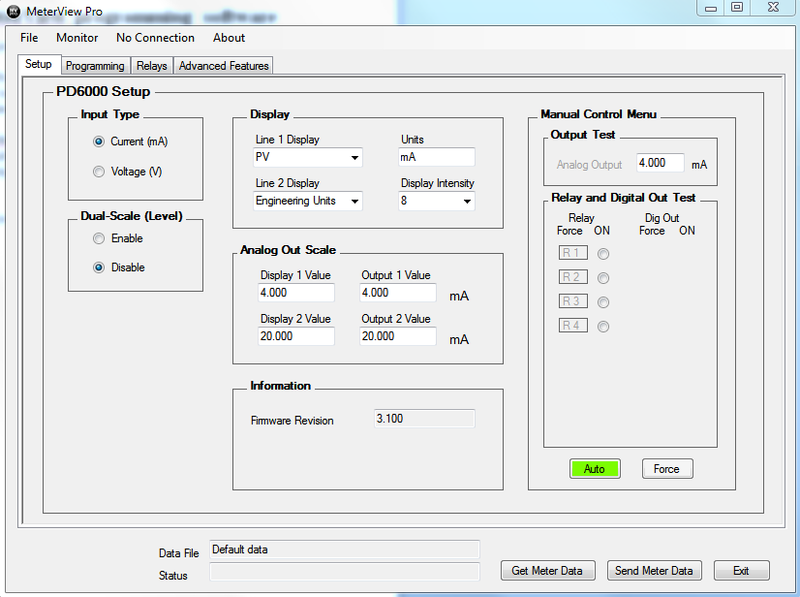 No need to wire the unit into the system until after configuration is complete. While the front panel buttons may still be used, MeterView clearly organizes settings and functions into dropdown menu choices. The intuitive onscreen menus and detailed interface software make the simple USB connection the only way to efficiently program and manage your Model 122 with MeterView. Order your Model 122 with MeterView software today!